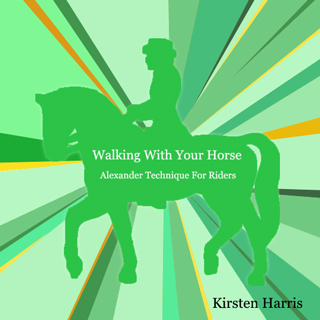 These lessons in the Alexander Technique are designed specifically for riders who wish to develop more harmony, flow, feel and trust between themselves and their horses and to move away from limiting habits of tension, holding or misuse into greater poise, balance, ease and freedom. By developing your thinking and awareness with the Alexander Technique you not only allow your horse to walk freely forward, without habitual interference from you, but work towards achieving a springy, elastic, toned relationship between you and your horse, as a harmonious foundation for all your riding. The Alexander Technique has already helped thousands of riders to improve their riding and develop greater co-ordination, straightness, lightness, freedom, feel and flow.